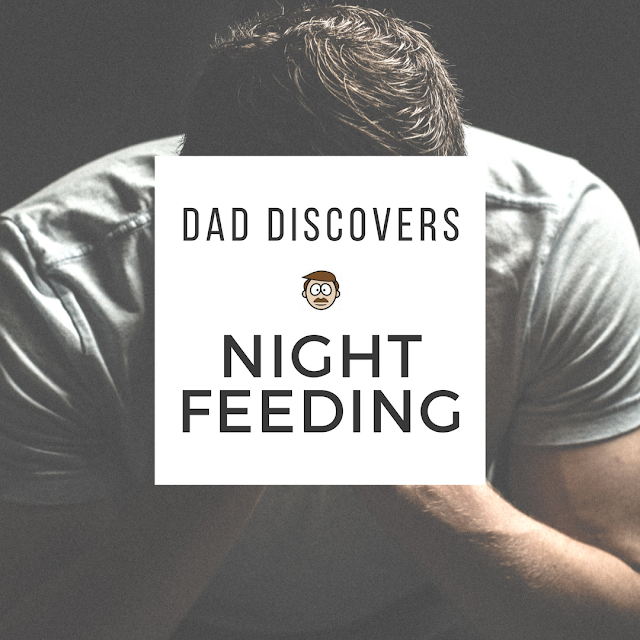 A Simple Guide to Night Feeding. Prepare a sterilised bottle and a sealed bottle of formula milk ready for feeding. Place next to your bed and congratulate yourself on your outstanding organisational skills before going to sleep. Stick the bottle in the yawning chasm of baby’s gob and try to keep it in whilst baby shoves his hands into his mouth, pushes the bottle away or thrusts his entire body back like he’s been tasered. Maintain patience while baby stops at regular intervals to shout, gurgle, look around admiring the view or grin at you like a madman. Put the bottle back in baby’s mouth so he can go back to guzzling with the ferocity of someone who’s been locked in a room without food for a week. Try to stay awake while feeding slows to a crawl and try not to be annoyed as baby refuses to drink the very last bit of milk, saving it as a souvenir of your time together. Attempt to burp baby whilst he turns into a sack of potatoes, his head lolling around like he’s just completed a student pub crawl. Congratulate yourself on feeding your baby just as he throws most of it up again all over your shirt/bed/sofa/relative’s antique Persian rug. Try to put baby back in his cot where he suddenly opens his eyes again like the end of a bad horror film and recommences his furious rage. Spend the next half hour putting him back to sleep, muttering baby insults under your breath. Clear up the disaster scene, change everything you’re wearing for the third time in 24 hours, and consider whose idea it was to have kids in the first place. Look at your perfect sleeping angel looking completely content and healthy and think ‘I did that’. Go back to bed to make sure you get your full 3-4 hours of sleep, safe in the knowledge that the next feed is someone else’s problem.